Why don’t students read? Most teachers have the goal of promoting students’ lifelong love of reading. But why? And what can teachers and parents and librarians do to promote pleasure reading? In our book Reading Unbound, Michael Smith and I argue that promoting pleasure reading is a civil rights issue. Data from major longitudinal studies show that pleasure reading in youth is the most explanatory factor of both cognitive progress and social mobility over time (e.g., Sullivan & Brown, 2013 [PDF]; Guthrie, et al, 2001; and Kirsch, et al, 2002 [PDF]). Pleasure reading is a more powerful predictor than even parental socioeconomic status and educational attainment. So if we want our students to actualize their full potential as human beings and their capacity to participate in a democracy, and if we want to overcome social inequalities, we must actively promote pleasure reading in our schools, classrooms, and homes. Pleasure reading can be defined as reading that is freely chosen or that readers freely and enthusiastically continue after it is assigned. Our students (like all other human beings!) do what they find pleasurable. You get good at what you practice, and then outgrow yourself by deliberately developing new related interests and capacities. Play pleasure/immersive pleasure is when a reader is lost in a book. This is prerequisite to experiencing all the other pleasures; it develops the capacity to engage and immerse oneself, visualize meanings, relate to characters, and participate in making meaning. Intellectual pleasure is when a reader engages in figuring out what things mean and how texts have been constructed to convey meanings and effects. Benefits include developing deep understanding, proactivity, resilience, and grit. Social pleasure is when the reader relates to authors, characters, other readers, and oneself by exploring and staking one’s identity. This pleasure develops the capacity to experience the world from other perspectives; to learn from and appreciate others distant from us in time, space, and experience; and to relate to, reciprocate with, attend to, and help others different from ourselves. Work pleasure is when the reader develops a tool for getting something functional done—this cultivates the transfer of these strategies and insights to life. Inner work pleasure is when the reader imaginatively rehearses for her life and considers what kind of person she wants to be and how she can connect to something greater or strive to become something more. When our study participants engaged in this pleasure, they expressed and developed a growth mindset and a sense of personal and social possibility. Taken together, these pleasures explain why pleasure reading promotes cognitive progress and social possibility, and even a kind of wisdom and wholeness, and, in a larger sense, the democratic project. We need to help less engaged readers experience these same pleasures. That is our study’s major takeaway: We must make all five pleasures central to our teaching. We need to name them, actively model them, and then assist students to experience them. To promote play pleasure, use drama techniques like revolving role play, in-role writing, and hot seating of characters in order to reward all students for entering and living through story worlds and becoming or relating to characters in the way that highly engaged readers do. To promote intellectual pleasure, frame units as inquiry, with essential questions. 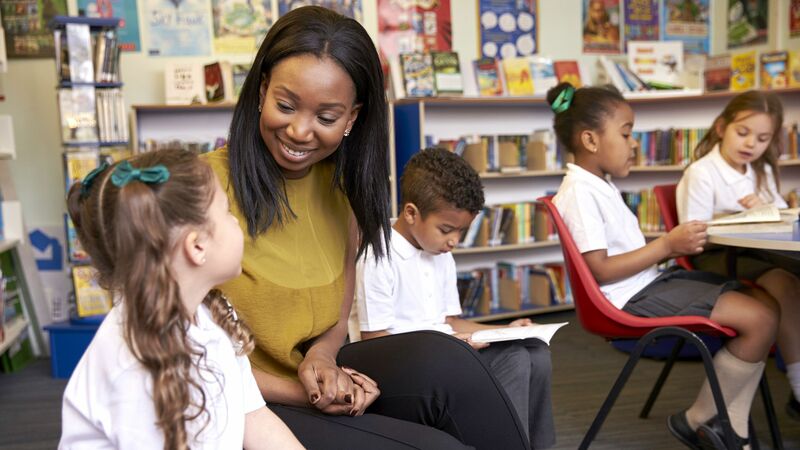 Read a book for the first time along with your students—figure it out along with them, modeling your fits and starts and problems through think-alouds and discussion. 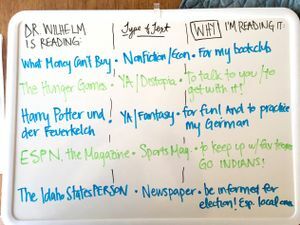 Or pair an assigned reading with self-selected reading from a list, or a free reading choice that pertains to the topic. Use student-generated questions for discussion and sharing. Use discussion structures like Socratic seminar that make it clear there is no teacherly agenda to fulfill as far as topics or insights to achieve. 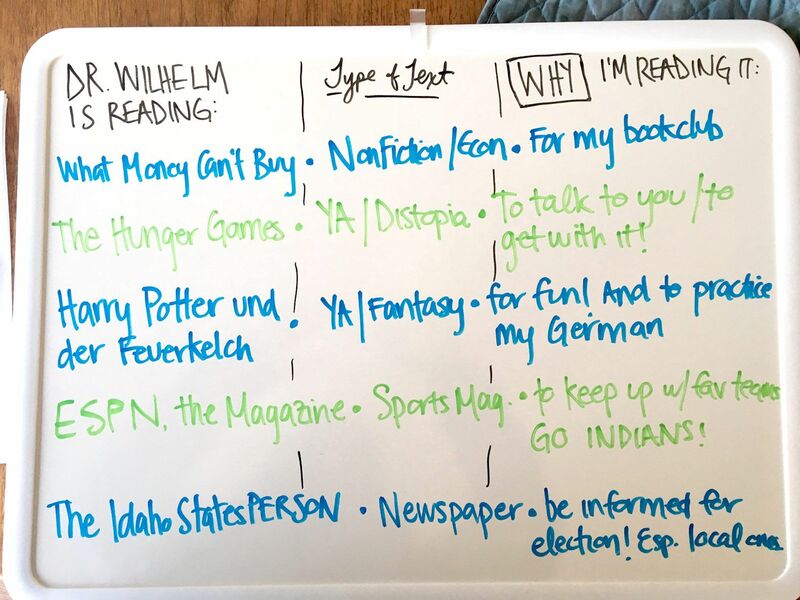 Promote the social pleasure of reading by sharing your picks with your students. To promote social pleasure, be a fellow reader with students. Put a sign on your door: “Dr. Wilhelm is reading _____.” Read one of their favorite books. Foster peer discussion of reading and response in pairs, triads, small groups, literature circles, book clubs, etc. Do group projects with reading that are then shared and even archived. Have a free reading program and promote books through book talks, online reviews, etc. To foster work pleasure, use inquiry contexts and work toward culminating projects, including service and social action projects. To foster inner work pleasure, engage students in imaginative rehearsals for living, inquiry geared toward current and future action, or inquiry for service. Have students think as authors making choices and plan scenarios for characters in dilemmas or those trying to help the characters. Write to the future or to a future self. Make no mistake, the next-generation standards worldwide require profound cognitive achievements. Meeting such standards and the demands of navigating modern life will require student effort and the honing of strategies over time. Promoting the power of pleasure reading is a proven path there.